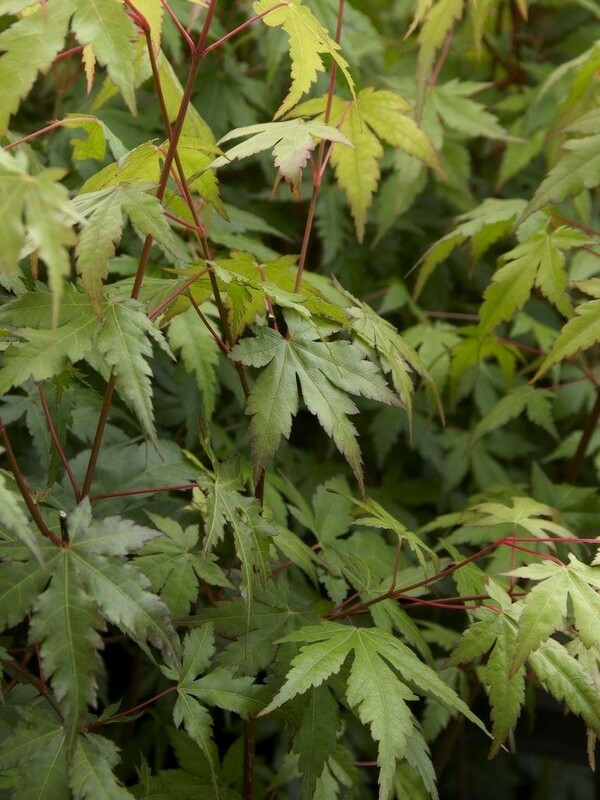 The original Japanese maple, with fresh green spring foliage, that turns stunning blood red in autumn before it falls . Leaves are 5-7 lobed and cut halfway to the centre of the leaf blade. The foliage is fresh green with occassional red tints in spring and looks wonderful on a sunny autumn day with the sun shining on its scarlet colours before it falls for winter. Supplied in approx 3-5 litre containers at up to a 100-150cms tall.